Standing: First book in the Hungry City Chronicles prequel trilogy. Published: March 1st, 2011 by Scholastic Inc. Format: Audiobook; 7 hours. Read by Philip Reeve. Soon though, she must say goodbye to Dr. Crumb – nearly the only person she’s ever known – to assist archeologist Kit Solent on a top-secret project. As her work begins, Fever is plagued by memories that are not her own and Kit seems to have a particular interest in finding out what they are. Fever has also been singled out by city-dwellers who declare her part Scriven. All Fever knows is what she’s been told: that she is an orphan. Is Fever a Scriven? Whose memories does she hold? Is the mystery of Fever, adopted daughter of Dr. Crumb, the key to the secret that lies at the heart of London? Haunting, arresting, and astonishingly original, Fever Crumb will delight and surprise readers at every fast-paced, breathless turn. Philip Reeve has created a most intriguing world in Fever Crumb, the first installment of a trilogy preempting his Hungry City Chronicles (also called the Mortal Engines series–the prequel trilogy was written after). Now, I haven’t read the Hungry City Chronicles, so I can’t really speak to that effect, but I will say that Fever Crumb was a delightful, quirky, futuristic steampunk-like read. Fever Crumb appears to be set in our own world, but so far in the future that electronics and such are referred to as creations of the ancients. While I would argue that Fever Crumb is not technically steampunk, and is rather just straight up sci-fi, it does have a very steampunk-like quality in that the world has a Victorian feel, and thus it will appeal to fans of that genre. I picked up Fever Crumb on audio after seeing it on YALSA’s Best Fiction for Young Adults list. The title alone grabbed me, and when I read the premise I was drawn in. The audiobook is read by the author, Philip Reeve, and I am almost always a fan of audiobooks read by their authors (see Libba Bray’s Beauty Queens). I’m happy to say that Fever Crumb did not disappoint! 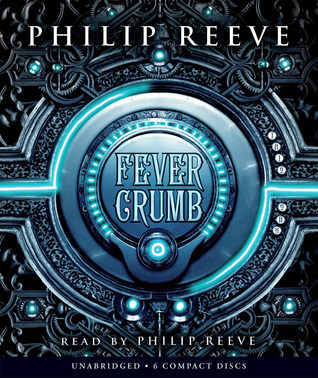 Philip Reeve’s narrative was excellent, and with an accent matching Jim Dale’s it was easy to be charmed into enjoying the audio of Fever Crumb. His futuristic London held some laugh out loud quirks for me, like the use of the term ‘blogger’ as an insult, or instead of Hari Krishna cults on the street there were cults chanting ‘Harry Potter’. In fact, my initial reaction shortly into listening was ‘why haven’t more people I know read this book? !’ I’m sad to say, however, that my initial interest in Philip Reeve’s London waned by the end. I did enjoy Fever Crumb, but it turns out I liked the entire storyline significantly less than I liked the idea up front. Fever Crumb is also one of those books that, at least for me, sits on the precipice between Middle Grade and Young Adult. 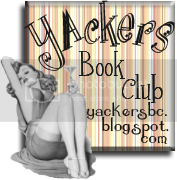 It is technically categorized as Young Adult, but reads very much like a Middle Grade book. I’d put it on the brink with books like Philip Pullman’s His Dark Materials trilogy, or C.S. Lewis’s The Chronicles of Narnia. I enjoy this age range, though I find it difficult to peg down at times, but sadly Fever Crumb didn’t grab me in near the same way as the other series mentioned. The character I most enjoyed in Fever Crumb was, no surprise, Fever Crumb. Fever is practical and logical to a fault; so much so that she seems almost robotic like. She won’t drink hot tea (because the transportation of tea is impractical), she shaves her head every other day (hair is an unnecessary vestige of our ancestors, and creates a home for lice), and she certainly doesn’t go in for things like fairy tales or fun. I think this is why the beginning of the book was so much more enjoyable to me than the end. I loved seeing Fever’s reactions to things, and observing her thought process. As the story goes on, she inevitably learns that it is okay to feel, and honestly I found her less interesting when she became more personable. The overall story of London, humans, and the scriveners was most assuredly an interesting set up, but I am uncertain that I was caught up enough to carry on. Philip Reeve does have a unique and charming way of putting a Victorian style on Science Fiction that is different from the steampunk genre in which we normally see this union. Likelihood that I’ll be back for more: I did enjoy Fever Crumb, especially in its audiobook format. 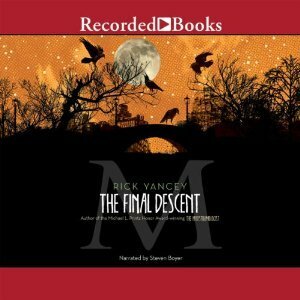 However, since my library doesn’t have the rest of the series on audio, and I don’t feel invested enough in the series to purchase it on audio, I do not know that I will be continuing on. Recommended for: Those who enjoy older MG/younger YA books, steampunkers. This was my first one, and it was solid even though I didn't fall head over heals for it. I would especially be interested in listening to more of his audio! I know that this trilogy is about to finish up, so it's a great time to start. Yes! That is exactly the thing, I love very stoic characters like Spock and Sherlock Holmes, which was shy Fever was so interesting, but she lost it. Which is fair given it's written for younger readers, but made me a little less enthusiastic about it. 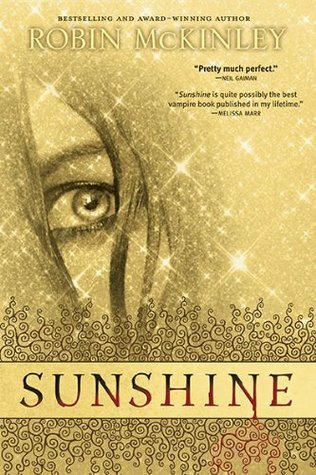 If you do read this series, let me know what you think! Interested about the HC Chronicles as well. Awe, Jasmine! *Hugs* Thanks! You're awesome too, my friend. You keep me on my toes in the MG world! Yay! I’m so happy. I hope you like it, it’s a really cool world and story. If you end up reading the series beyond it, I’m really interested to hear how it is. The third book just released!